This position is responsible for developing accurate and timely proposals and estimates for both private and public sector works projects. Bachelor’s Degree in Civil Engineering, Construction Management, Business Administration, or equivalent related work experience. Proficiency with all MS Office products (Word, Excel, PowerPoint, etc. ), AGTEK Take-off and Primavera Scheduling software. Advanced knowledge of Estimating software. Advanced knowledge of civil engineering principles. Advanced knowledge of construction principles and equipment capabilities. Advanced knowledge of agency (U)DBE requirements. 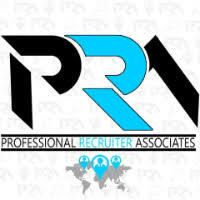 For immediate consideration, please forward a copy of your current resume to info@profrecruiters.com referencing job #1701 or a link to this job.